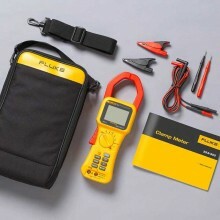 Includes: Fluke 355, C43 soft carrying case, 6 AA batteries, TL224 1.5 m silicone rubber test leads, TP2 test probes, AC285 alligator clips, User manual. 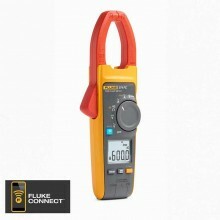 Confidently take reliable readings with the True-rms, Fluke 355 digital clamp meter; the tool of choice for high current clamp-on amp meter measurement up to 2000 A. Reliably handle a wide range of high-current applications with 2000 A AC + DC True RMS, 1400 A AC, and 2000 A DC. 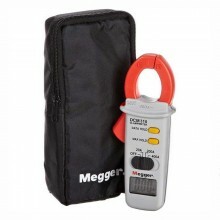 The large 58 mm (2.3 in) jaw capacity is suitable for large or multiple conductors. CAT IV 600 V, CAT III 1000 V rating for added user protection. 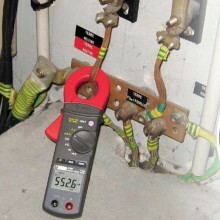 In-rush current measurement captures ‘power-on’ surge current with accuracy and repeatability. 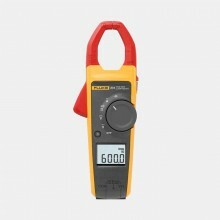 High voltage measurement of 1000 V AC + DC True RMS, 600 V AC, and 1000 V DC allows the user to perform multiple tests with only one tool. 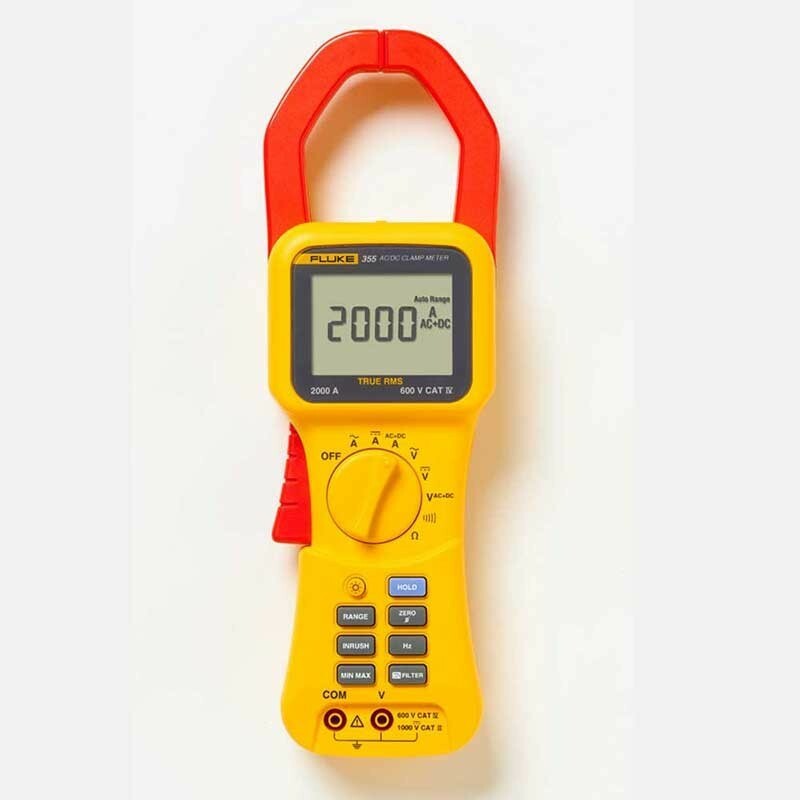 Resistance to 400K ohms coupled with a continuity beeper provide the convenience of a multimeter in a clamp meter. 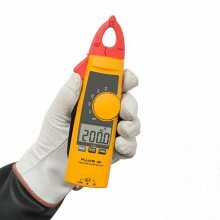 Accurately measure frequency up to 1 kHz for optimum troubleshooting. 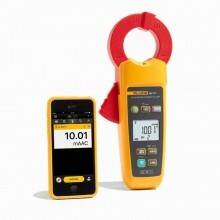 Quickly analyze readings using the MIN, MAX, and AVG functions. 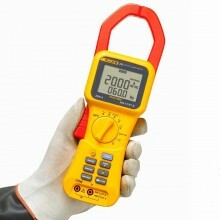 A large backlit display allows for easy visibility in low-lit areas. 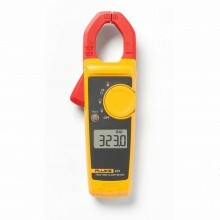 Use the display hold feature to capture readings even when the display cannot be viewed. 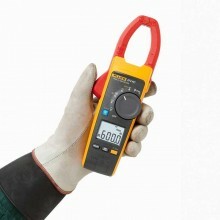 Use the low-pass filter to smooth out noisy loads and stabilize readings. 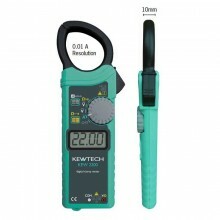 Current measurement DC and AC 10 Hz to 100 Hz Range 40 A / 400 A / 2000 A / 1400 AC rms. Resolution 10 mA / 100 mA / 1 A. A: 1.5% rdg + 5 digits. 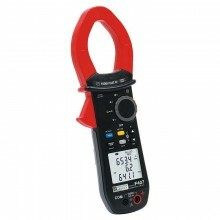 Trigger level for Inrush 0.50 A / 5.0 A / 5 A. 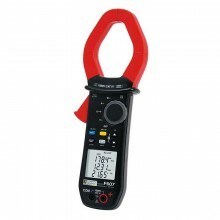 Trigger level for Hz filter OFF 2.50 A / 2.5 A / 8 A. 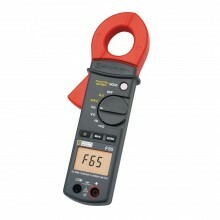 Trigger level for Hz filter ON 0.50 A / 2.5 A / 8 A.
Crest Factor (50/60 Hz) Range 40 A / 400 A / 2000 A / 1400 AC rms. 2 @ 1000 A, 2.4 @ 833 A. 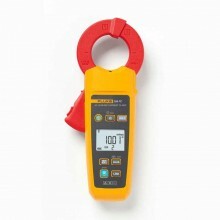 Current measurement AC 100.1 Hz to 1 kHz Range 40 A / 400 A / 2000 A; 1400 AC rms. 10 A: 3.5% rdg + 5 digits. 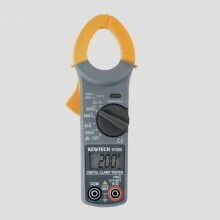 (600 V and 1000 V ranges have 10% over range to 660 V and 1100 V respectively.) 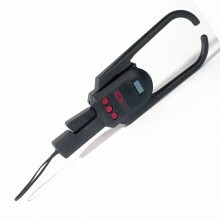 Range 4 V / 40 V / 400 V / 600 V AC rms / 1000 VDC. Resolution 1 mV / 10 mV / 100 mV / 1 V.
1% rdg + 5 digits. Trigger level for Hz filter OFF 0.25 V / 6 V.
Trigger level for Hz filter ON 0.25 V / 6 V.
(600 V and 1000 V ranges have 10% over range to 660 V and 1100 V respectively.) 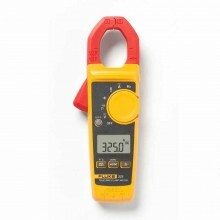 Range 4 V / 40 V / 400 V / 600 V ac rms. 3% rdg + 5 digits. 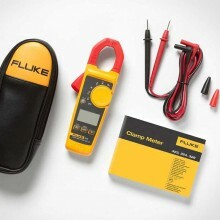 Trigger level for Hz filter OFF 0.050 V / 0.25 V / 6 V.
Trigger level for Hz filter ON 0.050 V / 0.25 V / 6 V.
Ohms measurement Range 4 kΩ / 40 kΩ / 400 kΩ. Resolution 0.1 Ω / 1 Ω / 10 Ω / 100 Ω. Accuracy 1.5% + 5 digits. Off at ≥ 100 Ω. 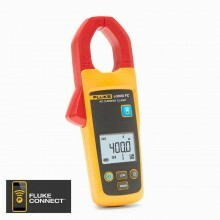 Frequency measurement Measurement range 5.0 Hz to 1 kHz. Resolution 0.1 Hz (15 Hz to 399.9 Hz); 1 Hz (400 Hz to 1 kHz). 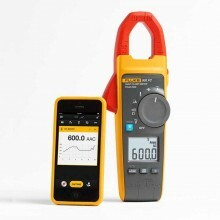 Accuracy – 5.0 Hz to 100 Hz 0.2% + 2 counts. 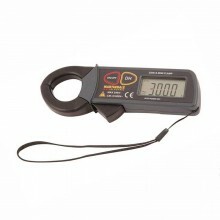 Accuracy – 100.1 Hz to 1 kHz 0.5% + 5 counts. Trigger level Refer to current and voltage tables. 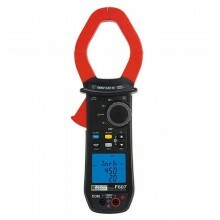 Batteries Six 1.5 V AA NEDA 15 A or IEC LR6. Battery life (with typical usage, backlight off) 100 hours. 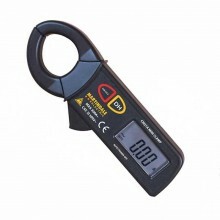 Test leads Rated to 1000 V.
Weight .814 kg (1.8 lb). Jaw size 58 mm (2.28 in). Dimensions (L x W x D) 300 x 98 x 52 mm (12 x 3.75 x 2 in). 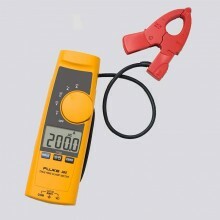 Safety rating IEC 61010-2-032, 600 V CAT IV, 1000 V CAT III. 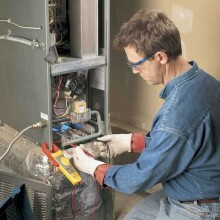 Operating temperature 32°F to +122°F (0°C to +50°C). 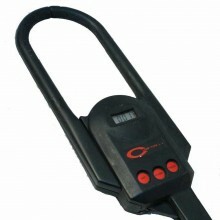 Storage temperature -4°F to 140°F (-20°C to +60°C). Operating humidity 0 to 95% (non-condensing). 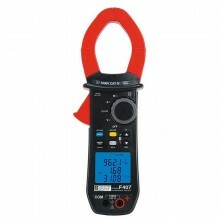 IP rating 42 (indoor use only). 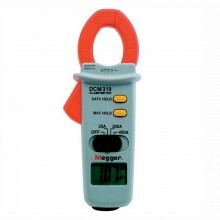 Drop test requirements 1 m.
IEC/EN 61326:1997 3 V/m, performance criteria B, EN61325. Temperature coefficients Current 0.1% of reading per °C outside 22°C to 24°C. 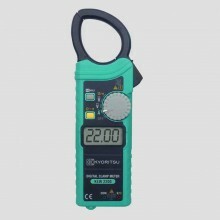 Voltage 0.1% of reading per °C outside 22°C to 24°C. 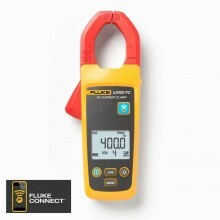 Fluke 355 warranty 2 years. 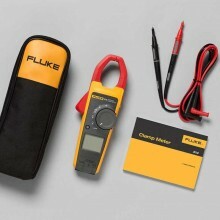 PDF Specifications of the Fluke 353 & 355 2000A Clamp Meters.